Ask any entrepreneur: It is not easy to start and run a business in India. The latest World Bank ranking on the ease of doing business across the world, released on Wednesday, ranks India at a lowly 132 among 182 countries. That said, the rankings do provide some indication about how individual countries are progressing. India has also become an easier place to do business in recent years. Even simple reforms --- such as the recent move to allow companies to file their tax returns online --- are a huge help to harried entrepreneurs. 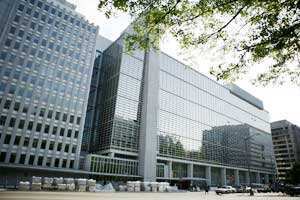 This year, the World Bank has drawn attention an important distinction between two types of reforms. First, streamlining processes to start a business, register property, etc. This is all about cutting red tape. Second, moving ahead with deeper (and perhaps more difficult) reforms to strengthen legal institutions, protect property rights, investor protection etc. Many countries have been focusing on the latter. The overall issue of business regulation needs to be understood against the backdrop about current concerns about capitalism. There are growing worries about crony capitalism, be it the controversial distribution of 2G spectrum in India or the tweaking of rules of help Wall Street firms in the US. A backlash should not threaten the ability of entrepreneurs to create jobs and wealth. A robust market economy needs to be rooted in strong rules, transparency and independent institutions. It may be easier to start up a business in a lawless economy, but companies can take risks and grow only when their contracts and property are backed by good laws, and when competition is protected by independent institutions. That is why India not only needs to streamline regulations on the ground, but also move ahead with simpler tax laws, a strong competition regulator, advancing investor rights and better protection for creditors.